Clear – the system removes all values. 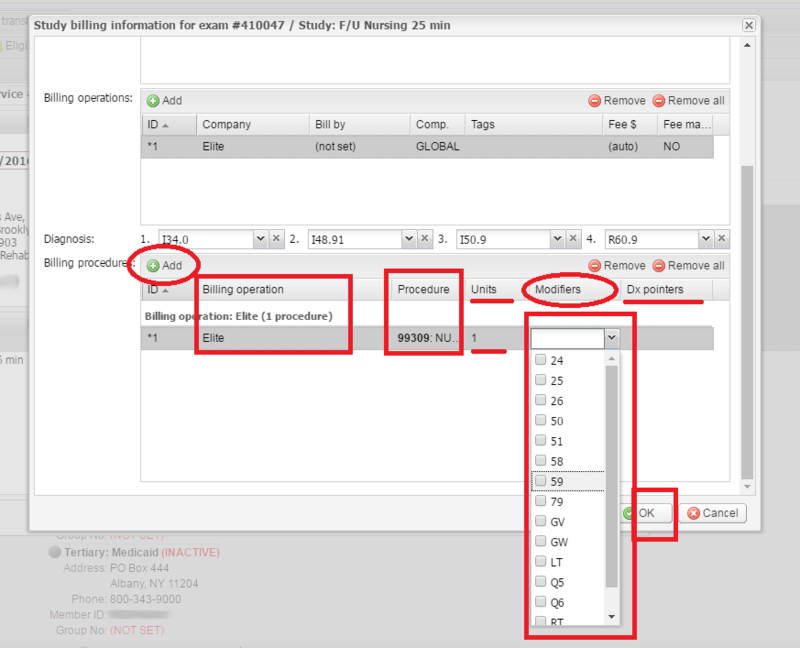 If you select the Simulate (without modification) checkbox, the system demonstrates the billing rule to be applied and shows what will be assigned. In most cases it is recommended to use the Unassigned method. 3. Make sure that billing is checked and click OK. 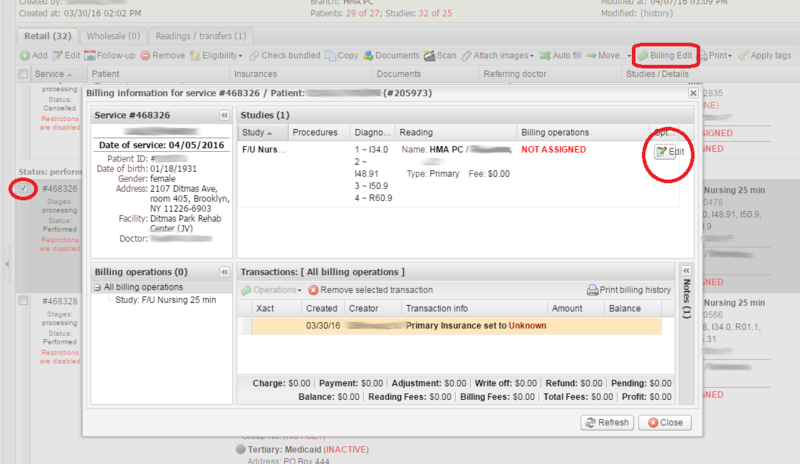 Billing will be assigned automatically. However, you should verify that every service has a billing company assigned. 1. Select the services to which you need to assign a billing company. 2. Click the Billing Edit. 3. In the new window click the Edit button to continue. 4. 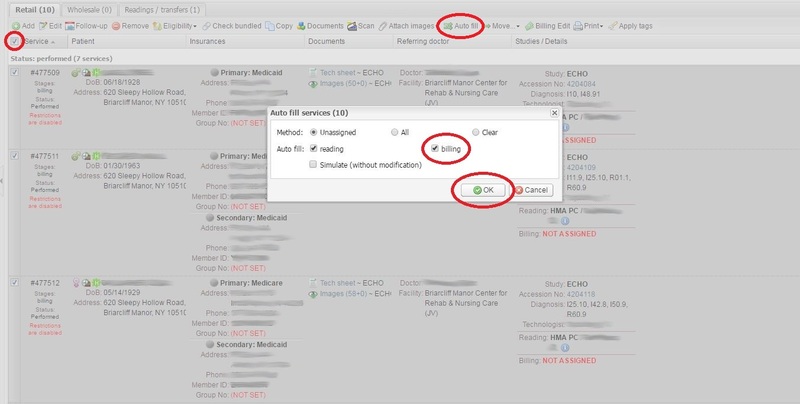 In the pop-up window click Add to set up billing operations. 5. Choose the Company and the doctor to Bill by. 6. Choose the Component: TC or 26. 26 – is a component for reading the exam. If neither is selected, the component is assigned as GLOBAL. 7. Fill out other fields such as Tags, Fee and Fee management if you need it. 9. 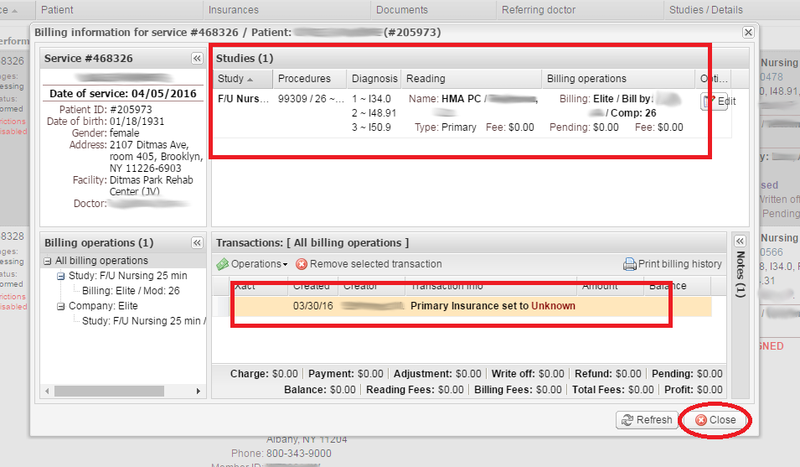 Select the Billing operation and the Procedure you have. 10. Select Units, Modifiers and Dx pointers if you need it. 11. Click OK to save changes. 12. 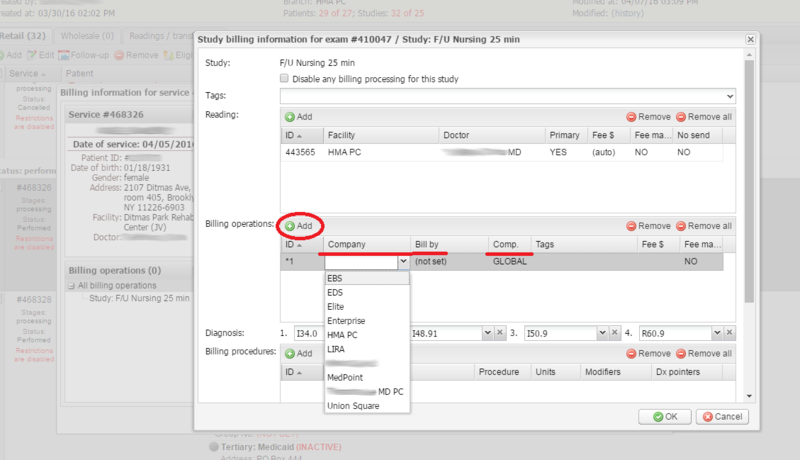 In the Billing information window verify that all data about the assigned billing company is correct. 12. Click Close to close the window.